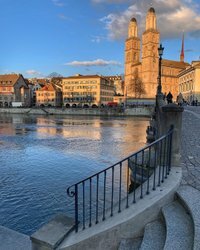 Lake Zurich, Grossmünster, Old Town and Bahnhofstrasse – discover Zurich's most interesting sights and the highlights of the city, culture and nature. 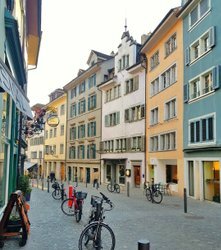 The most important sights such as the Old Town, Bahnhofstrasse, Grossmünster church and Lake Zurich are all based in Zurich’s town center. They are all reached within a three-hour walk or can be accessed by public transport. Culture lovers will enjoy a visit to the museum, Opera House, Schauspielhaus (municipal theater) or Tonhalle (concert hall). 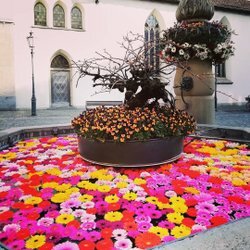 Nature fans can take a trip to Zurich’s very own Uetliberg "mountain", visit the zoo or take a boat to Rapperswil. The Tonhalle Maag is renowned worldwide as a concert hall with excellent acoustics. Set amidst one of the most beautiful parks in Zurich, the Rietberg houses art from outside Europe. The intersection between Lake Zurich, old town and Bahnhofstrasse is known as a financial center. The Zurich Opera House is the smallest of the world's large opera houses. Niederdorf offers interesting sights, culinary delights and shopping in Zurich's old town. The zoo, which is surrounded by nature yet close to the city, is home to a wide range of fauna.